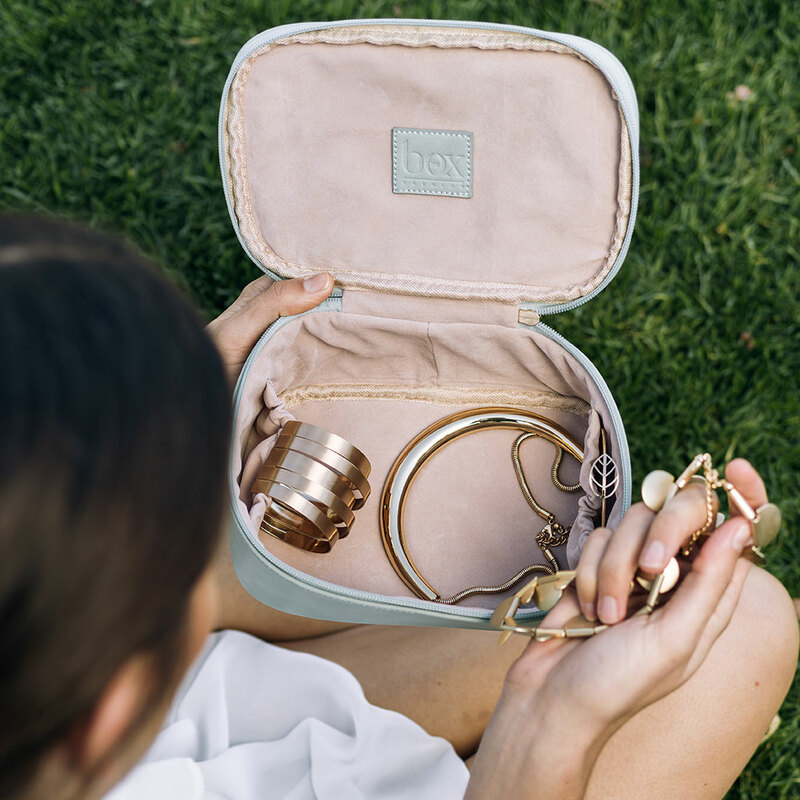 Don’t have the time or patience to untangle accessories when on holiday? 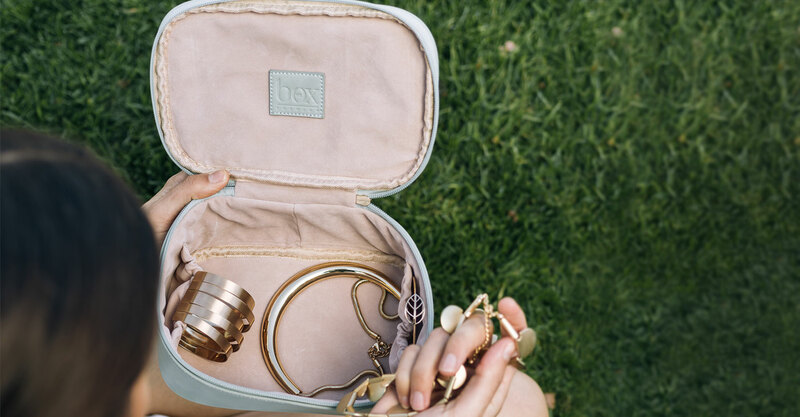 The Sage Garden Accessories Travel Bag is your latest life hack! Keep all your bigger jewellery pieces organised and protected in this luxe suede lined, PU-leather travel bag. 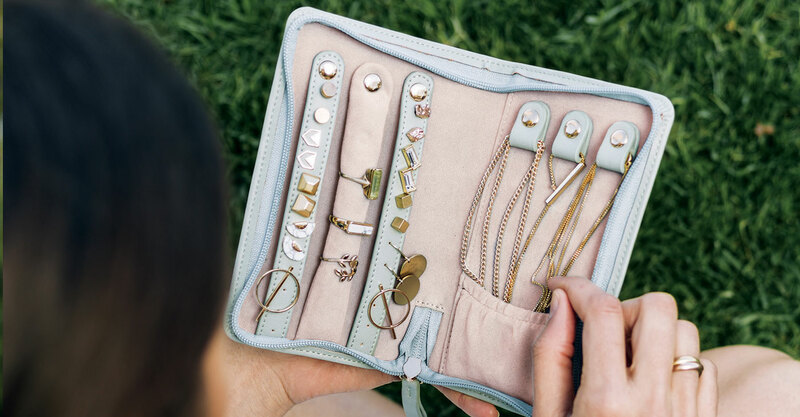 Vowed never to travel with jewellery again after opening your suitcase only to find a big, tangled mess? 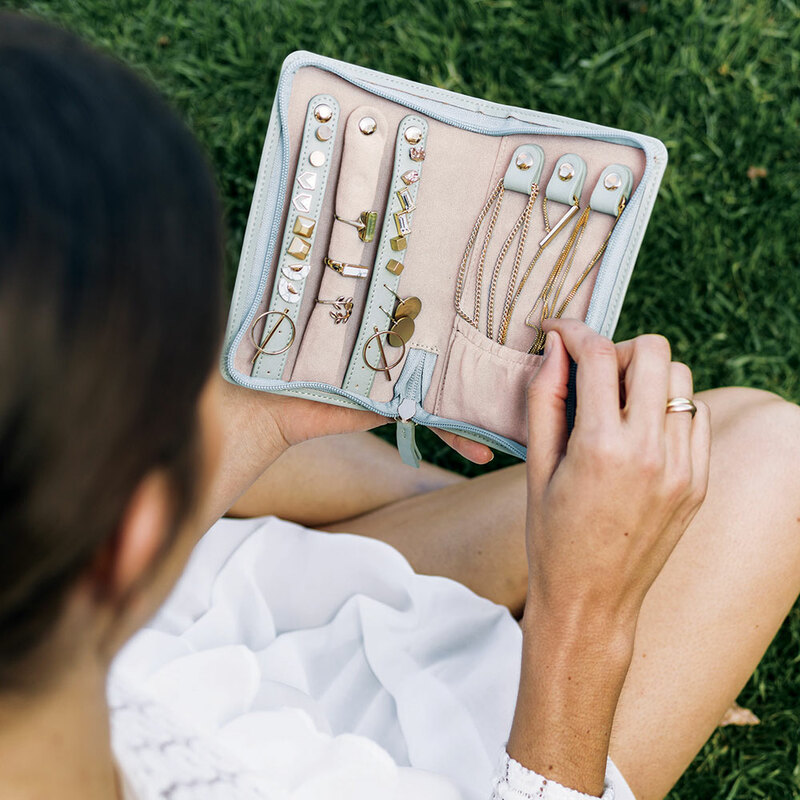 Don’t leave all your gorgeous goodies behind, rather use the Sage Garden Jewellery Pouch to keep your earrings, necklaces and rings hassle-free and safe in their individual storage compartments. Trends come and go, but when it comes to spring, florals never fail us. 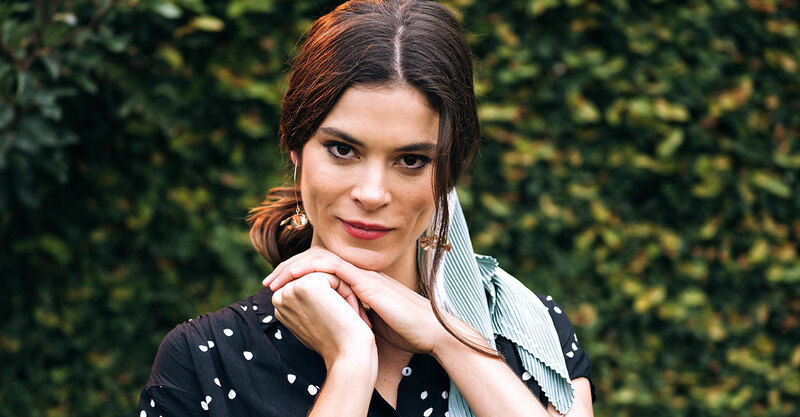 That is why we dedicated our design team to hand illustrate a scarf that exudes femininity, sophistication and the perfect floral bouquet as your ultimate spring accessory! 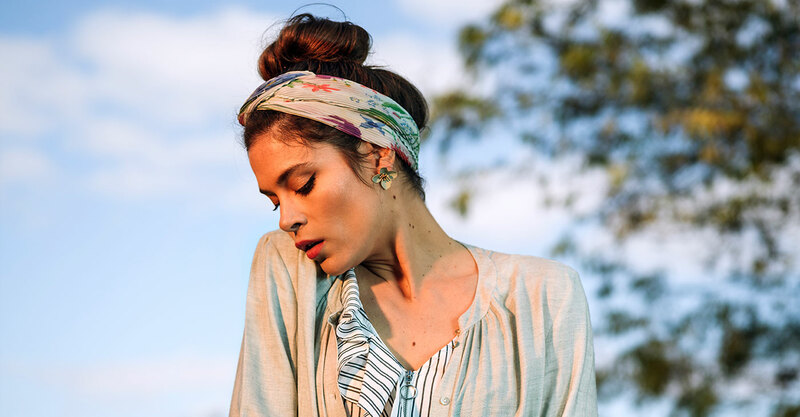 We are proud to present you with our first authentic The Box Fashion Scarf! 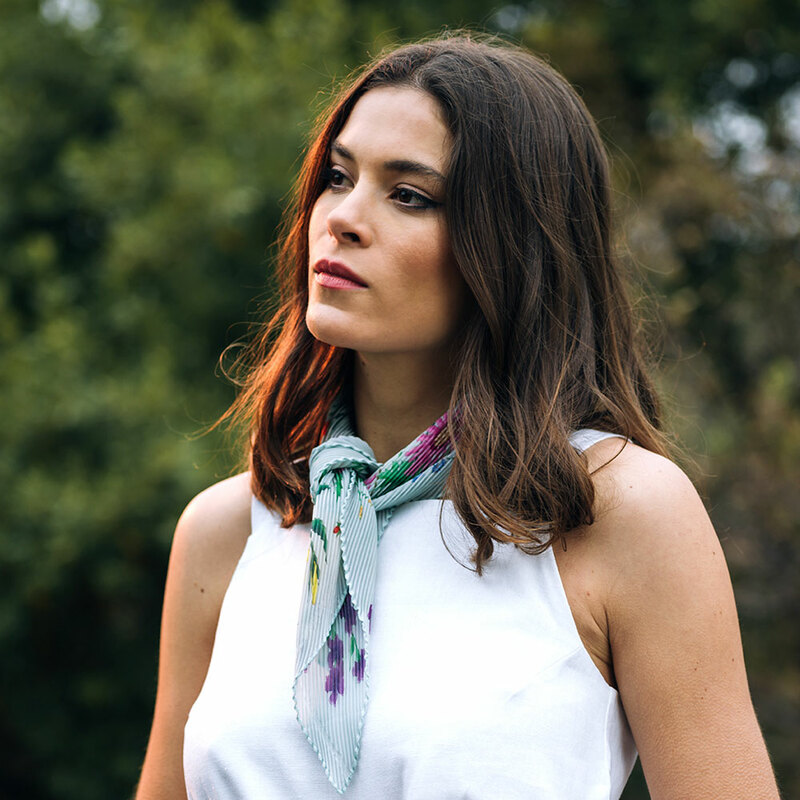 For a glamorous finishing touch and fleck of colour, opt for a delicate silk scarf. 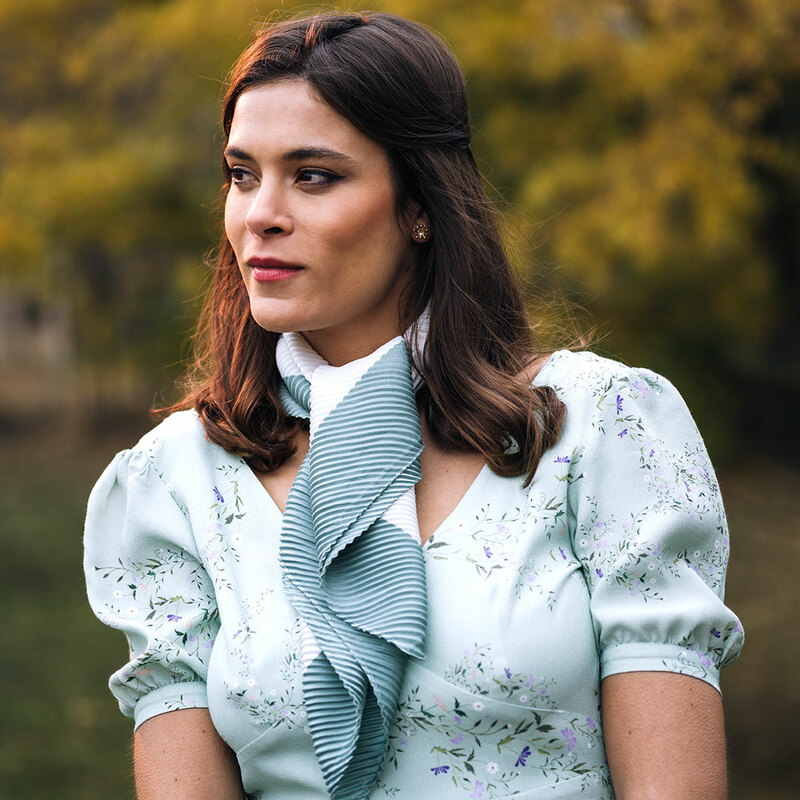 Slightly longer in length than the Neckerchief, this piece of pleated perfection is ideal to wear as a belt, head scarf or as an elegant statement around your neck. Fresh floral fashions are everywhere! 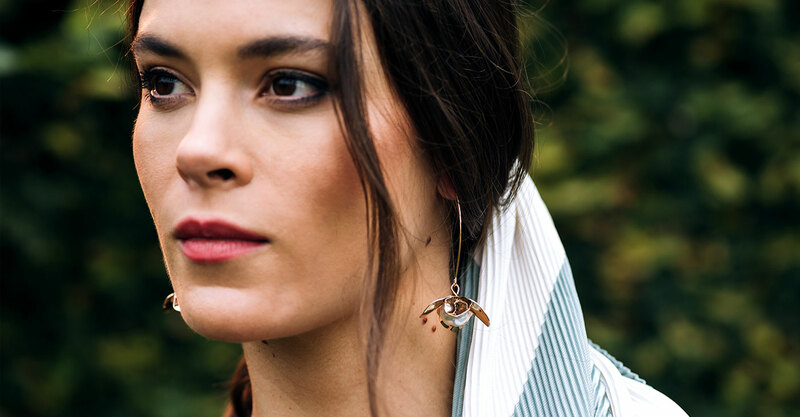 Even jewellery is inspired by the naturalistic blooms of this season and we’re loving it. 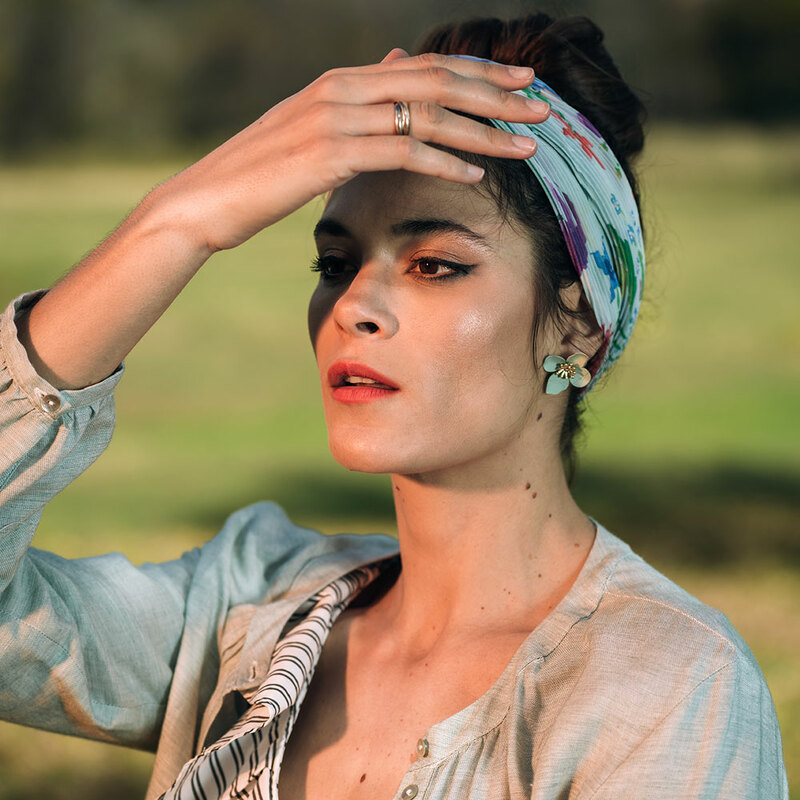 It will be easy to make a statement with the Sage Garden Gold Drops this spring. 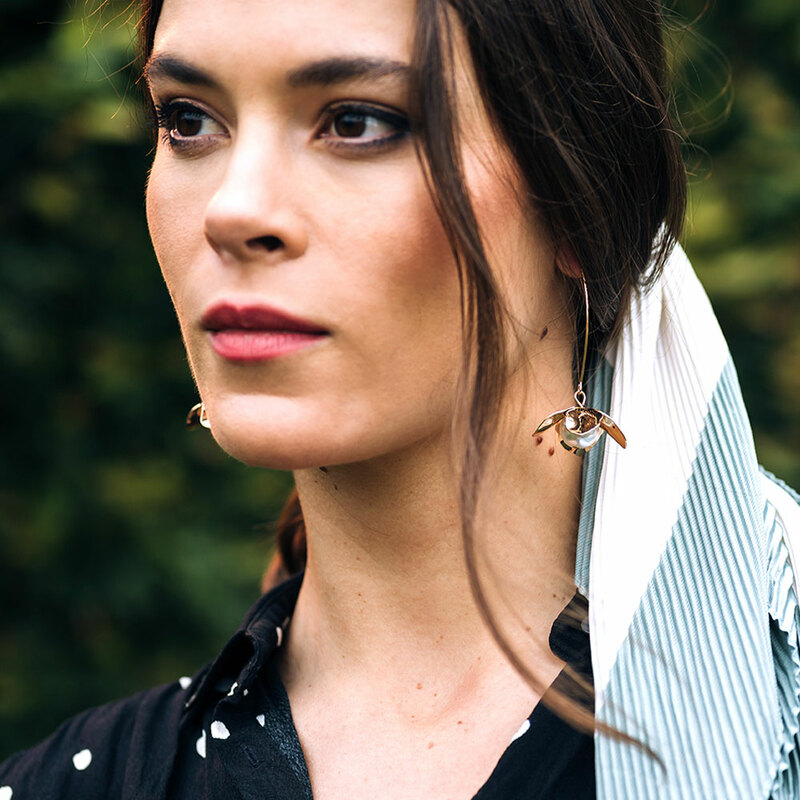 Add a subtle hint of colour to your outfit with the Sage Garden Floral Studs. The floral design is an update to basic studs that is fun, yet sophisticated. Pop it! Collapse it! Grip it! 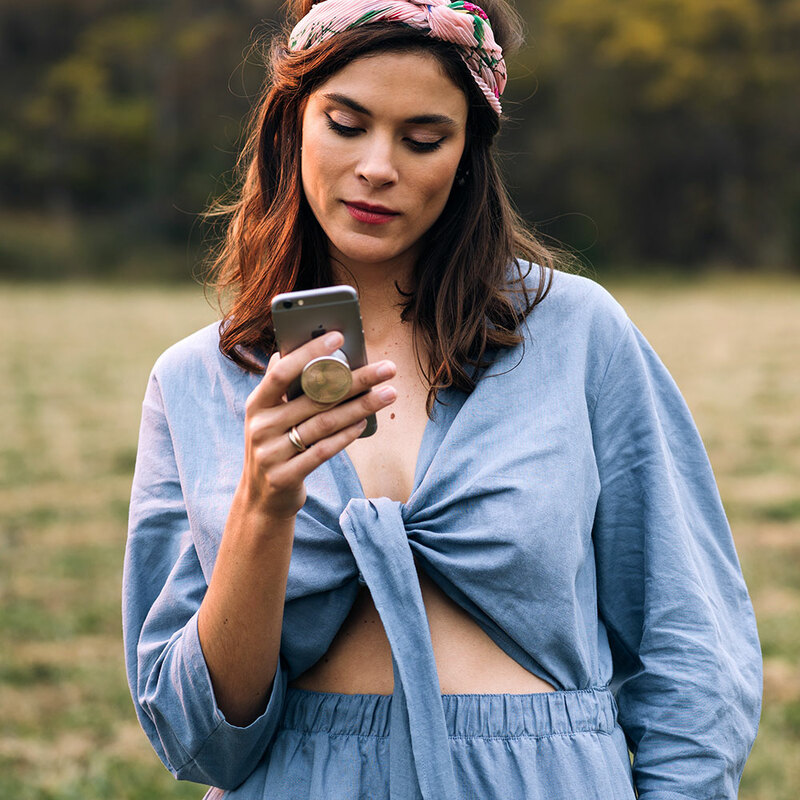 The latest cellphone accessory craze helps with more than just taking the perfect selfie. 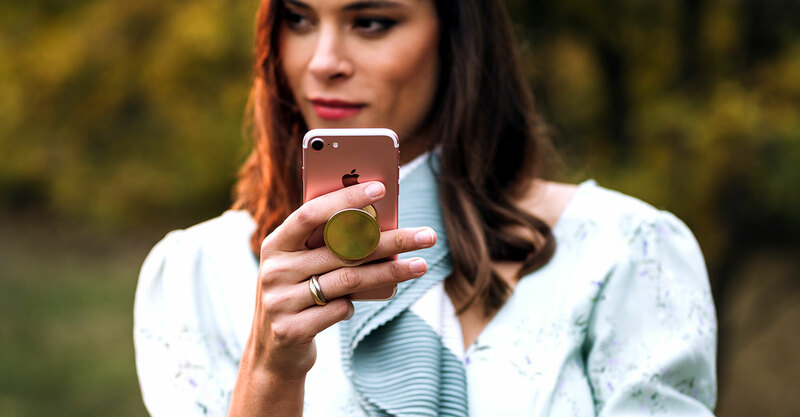 Lessen those heart-stopping drops and get the perfect grip on your phone with your Gold Pop Socket. You can even use it as a stand when watching or reading on your phone. Once you tried it, you will probably not be able to live without it!